This month, we cover duplicating assignments and pages, new font sizes, Inviting Observers to Conferences, and WalkMe guides. Copied peer review assignments retain the peer review setting and Assign Review date, but the number of reviews per user will be set to zero. Copied assignments are always assigned to everyone in the course; differentiated assignments are not retained for individual users, groups, or sections. If a differentiated assignment includes an “Everyone Else” date, the copied assignment retains the Everyone Else due date, if any. If a differentiated assignment does not include an “Everyone Else” date, the copied assignment does not include a due date. Copied external tool (LTI) assignments may need to be reconfigured. Please Note: Canvas assignments cannot be duplicated for discussions and quizzes and do not feature a Duplicate option in the Settings menu. Instructure plans to add this feature in a future release. By default, the duplicated page will be unpublished. All items in the page are duplicated including the page name, content, and options. If a page is used in MasteryPaths, the MasteryPaths setting is also enabled in the copied page. Additionally, any MasteryPaths page also displays in the Assignments index page. The base font size in Canvas has been increased from 14 pixels to 16 pixels. By making the base font size larger, Instructure is improving accessibility and text legibility. Also, all other font sizes have been increased accordingly. 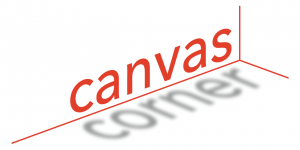 Please note: Some Canvas areas using multiple text components may still display smaller font sizes. Instructure designers are still adjusting CSS for these areas and will update them in future releases. Observers can be invited to participate in course conferences with all course members or individually. In the Conferences creation page, the Invite All Course Members default includes observer enrollments. Observers can be individually added or removed from a conference invitation by deselecting the checkbox. We recently added some new WalkMe guides to Canvas. WalkMe provides real-time guidance that is easy to follow by providing on-screen, step-by-step guidance that you can utilize to complete any task successfully. To access a WalkMe guide, simply click on the Canvas WalkThru menu and type in a question or task, then follow along as WalkMe shows you where to click, what settings to choose, and explains the options.